On this page, you’ll find how we use the details you’ve shared with us and reasons that we are collecting them. Our locksmith services website is committed to providing our users with the ultimate protection they deserve for using this website. Our team is always striving hard to ensure that we’re implementing every security measure in ensuring that your details are safe and protected all the time. When you have provided us your information, which may include but not limited to your name, email address, home address and phone/mobile number, you can rest assured that we’re only using them, according to the terms stated herein. Our auto, residential and commercial locksmith service website collects either personal or non-personally identifying information from our users. Some of these details may include your position, mobile number and phone number, mailing address, email address, name, postcode and other demographic details. Frog Lock Locksmith collects data from users so that we can track your browsing habits, interest and preferences. Additionally, we collect such details in providing you with better content, products and services, record keeping as well as improving your website experience. Our team also collects such details to update you about the latest news, products, offers and other information that we believe you might find interesting. We’ll send these updates to your email address. Frog Lock Locksmith may also use your details for specific marketing research and studies to improve our services. For such purposes, our team may contact you through email or phone. Our certified locksmith website implements the latest and most robust security practices to ensure your details are secured and safe from third parties or hackers. 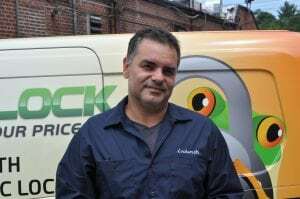 Frog Lock Locksmith website is made safe and secured from any unauthorized access by using physical, electronic and managerial procedures to keep your data protected all the time. Cookies are small web files used in asking permissions and are installed on your PC’s hard drive. These are used in monitoring traffic to our website, administering our site better and determining your browsing habits. These cookies also allow web apps to respond based on your interest or preferences, providing you with a better site experience. You may opt out of these cookies by checking your browser settings and modifying it to opt out of cookies. However, opting out might also prevent you from accessing specific pages on this website. You can restrict or control what info you shared with us by contacting us through email. You may also contact us should you wish to update or correct any information you have given us. Let us know if you don’t wish to receive any marketing updates or any emails from the Frog Lock Locksmith. We will not distribute, share, sell or exchange your information without your permission. Our team will only share it if and when required by the law. At any time, our professional locksmith team reserves the right to change or update any portion of this privacy statement. We advise that you check on this page from time to time for the most recent changes.